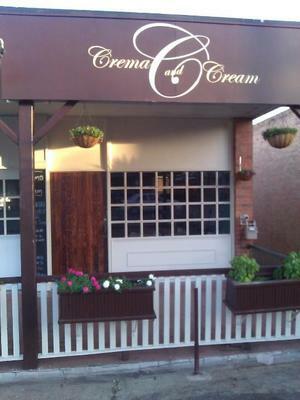 Crema and Cream recently opened on Stafford Road in Gordon Park. This is exciting news for coffee drinkers and breakfast-goers as there isn't too much along this stretch of road worth hanging around for just yet. The cafe has a wintery, cabin-esque feel about it; complete with a grand wooden table, scenic paintings, dark beams across the ceiling and flower beds out front – a little European inspired perhaps. It stands in contrast to its immediate surrounds, bringing a bit of warm cheer to the area, and prompts you to want to stay around and enjoy your coffee indoors. The coffee is smooth and slightly sweet, and can currently be accompanied by a limited, breakfast menu or an array of "Grace's Sweets". There are home-made slices, cakes and mini tarts, and freshly baked muffins I spied on the counter. The home-made factor is always a winner in my books, and goes well with the cosy interior. Breakfast so far includes the basics – bacon and egg rolls, ham and cheese croissants, muesli and yoghurt and the like. But the barista ensures me they're happy to give most breakfasts a go at request, and says the complete breakfast menu is still a work-in-progress. As I leave I notice the black board says the cafe will soon be open for breakfast on Saturdays, so I suspect the menu won't be far off. 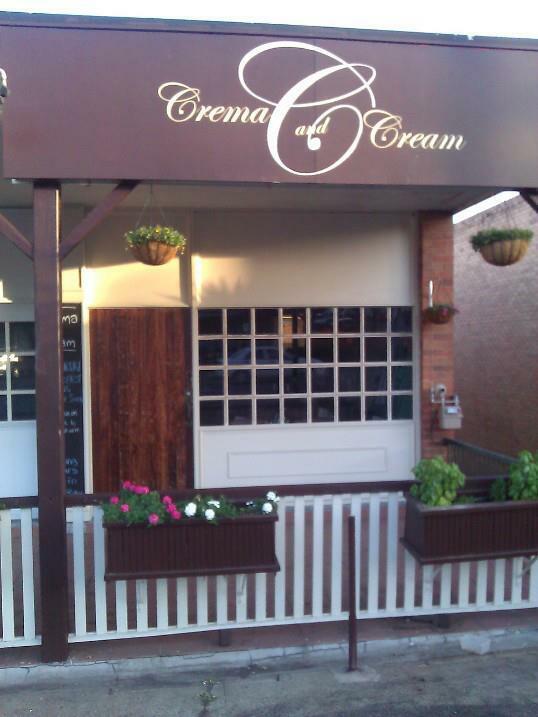 Crema and Cream is currently open Monday to Friday from 6.00am – 3.00pm but keep your eyes peeled for a Saturday open day. There are some parks out the front of the cafe, as well as off street parking available. Love this place - great food, coffee and service.